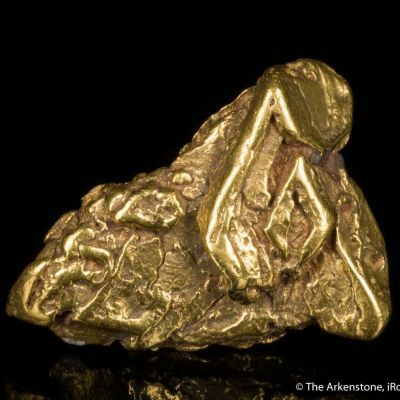 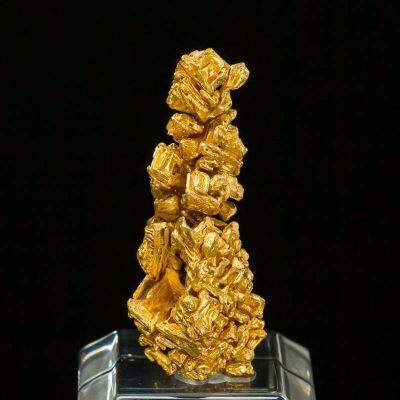 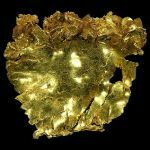 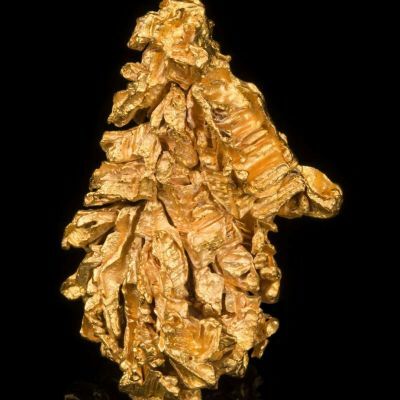 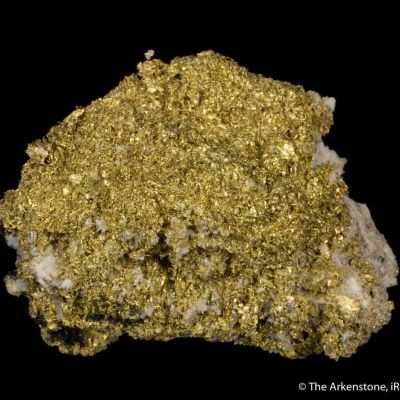 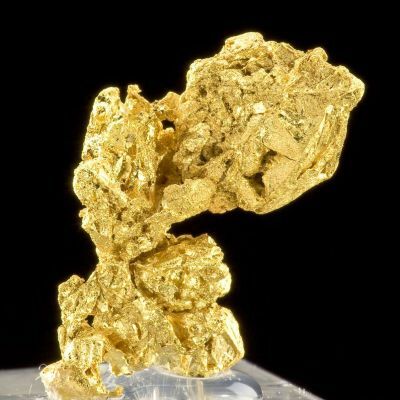 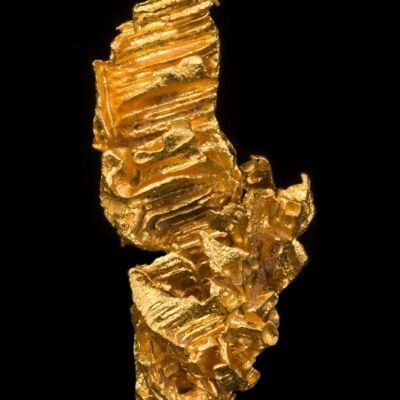 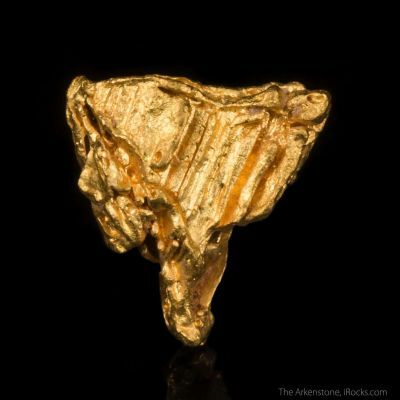 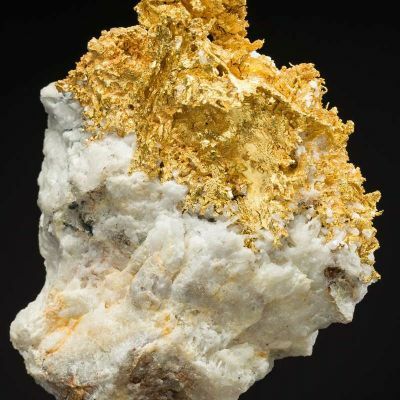 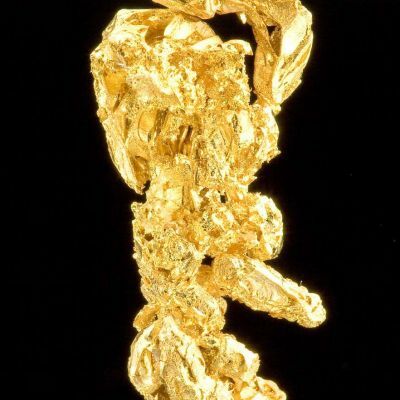 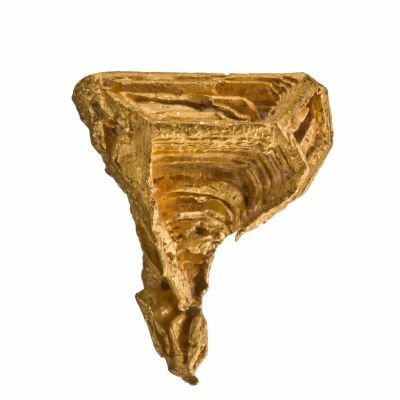 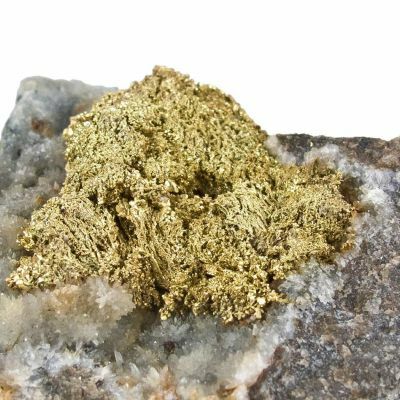 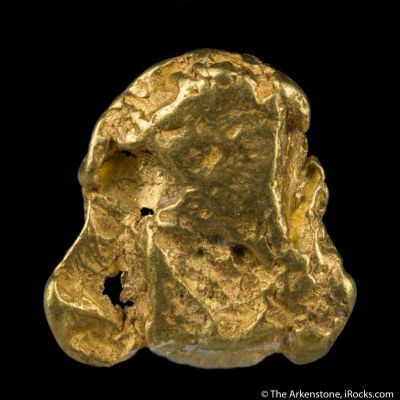 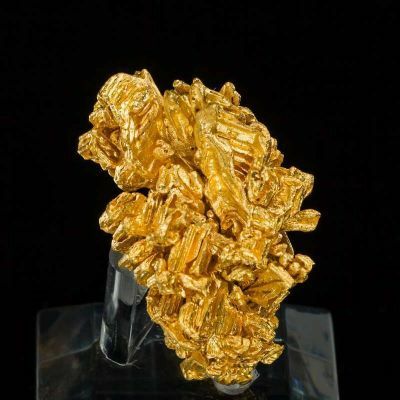 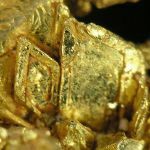 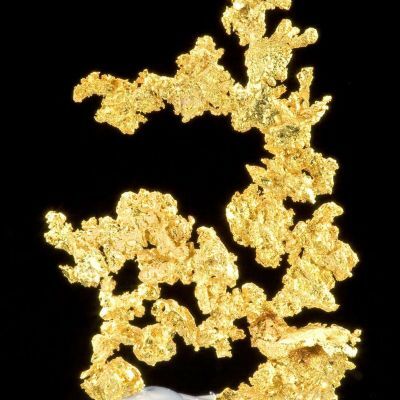 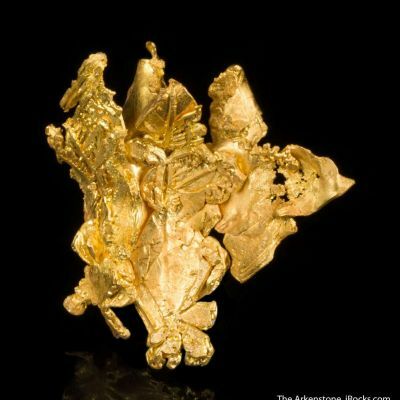 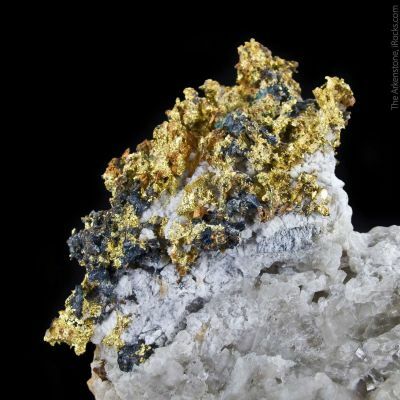 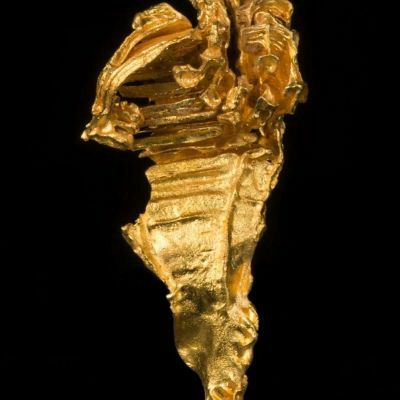 This modern-day Gold locality has produced a plethora of amazing Gold specimens featuring a wide range of crystal habits, including some of the most impressive Spinel-Law twinned Gold crystals I have seen. 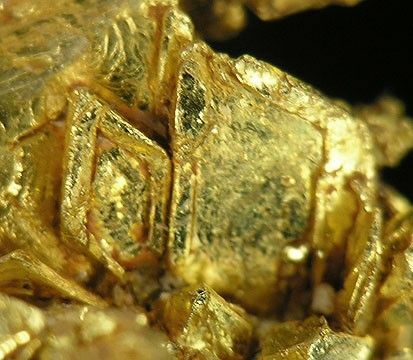 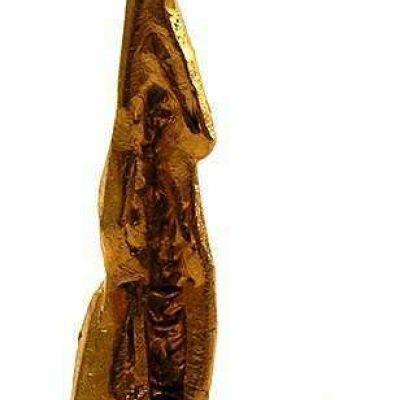 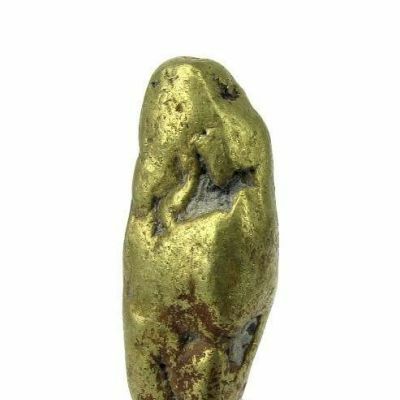 This thumbnail was discovered in 2006 and is a very good representative Gold from the locality. The two main characteristics of the specimen are the wide flattened "sheet"-like part of the piece which comprises the majority of the specimen. 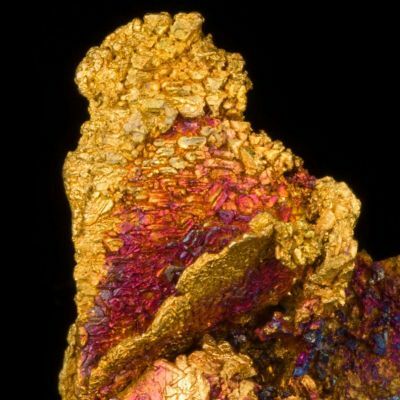 Along the edge of the "sheet" are some beautiful, sharp, cuboctahedral and elongated octahedral crystals.